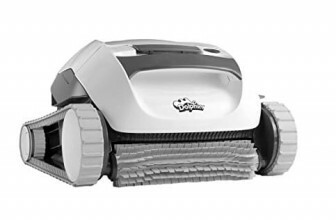 Zodiac 6-120-00 Polaris Vac-Sweep 165 Pressure Side Pool Cleaner finds its application in all inground, vinyl or fiberglass surfaced water pools up to 8 feet in depth. It can be easily installed using 1.5 Inch threaded return pipeline with 32 feet hose and requires pool circulation pump along with the filtration system to operate. Moreover, the booster pump is not a prime requisite for carrying out the operational task but a patented jet sweep is necessarily required which helps to loosen the rubble and accumulated debris with its strong and propelling water force against the surface of the walls. All the pollens, leaves, dirt, etc. gets collected in the trailing filter bag which can be easily removed and cleaned. This entire cleaning process requires a maximum of 3 hours for completion, thus providing sparkling clear and hygienic water. Idle for inground pools but can also be used for cleaning above ground pool surfaces. Easy to remove fine mesh filter bag. Completely sweeps and vacuums the walls and the floor surface of the pool. Can work efficiently and give impressive results for pools with uneven flooring. Filter cleanings can be reduced up to 80% annually. Capable of cleaning the pool edges, corners and even the space behind the handrails, thus provides complete coverage to the pool. The trailing filter bag doesn’t let the accumulated mass clog the pump and filter of the pool cleaner and this is responsible for a longer life span of the filtration system. Doesn’t require a booster pump to operate. Cannot be installed without a patent Jet Sweep, since it is responsible for the heavy flow of water on the surface of the walls. Can even remove small pebbles, twigs and leaves. Impressive results can be witnessed in lighter colored pools. 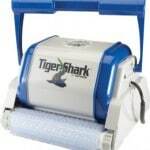 Operates automatically using the pool pump and the filtration system. Easy on installation and in assemblages. The dimensions of Zodiac 6-120-00 Polaris Vac-Sweep 165 Pressure Side Pool Cleaner are 12 X 22.5 X 22.7 Inches. The device weighs around 16.9 Pounds (or 7.66 Kg). Equipped with a Pressure Relief valve that helps to regulate the movement of the pool cleaner. The filter bag can be easily reattached after cleaning it completely. It uses the pressure of clean water that returns to the pool to move around; thus both the filter and the skimmer are left free to dispose off the contaminants. The float hose is responsible for the efficient performance of the purifier. Cleans the entire pool surface within 3 hours. 1-year warranty by the manufacturer. Hose coiling can be easily overcome by placing it straight in the sun for a couple of hours. Filtration bag is big enough and can collect all the debris in one go. Storage is not a matter of concern for the users. No physical labor required for pool skimming, since the automatic machine fulfills this responsibility efficiently. The hose may get tangled and this might affect the functioning of the pool cleaner. It cannot be placed directly under sunlight in summers and for storage during winters, the device should be completely dried with hoses spread or hung straight. 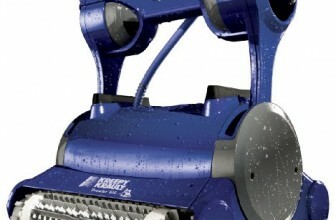 I believe that the Zodiac 6-120-00 Polaris 165 Pool Cleaner is a smart investment. 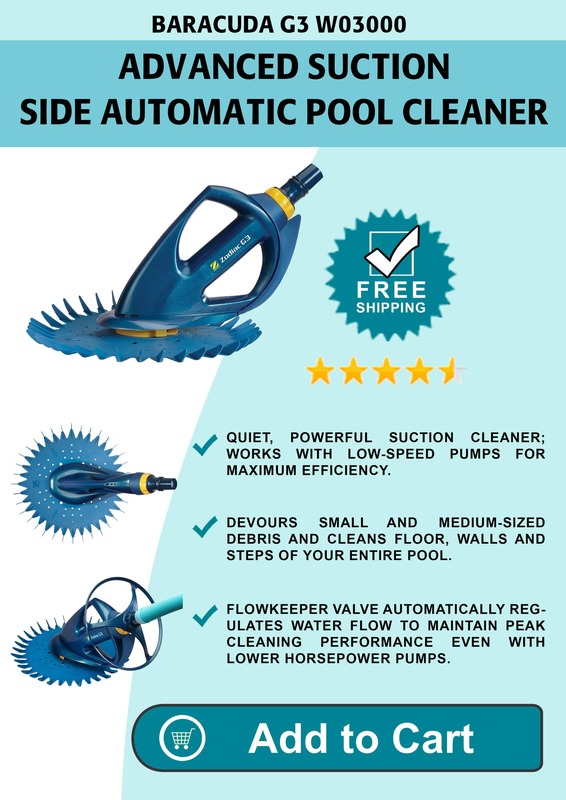 It operates without a boost pump and shows tremendous capability to maneuver all across the pool surface for a clean and hygienic outcome. It can be allowed to stay in the pool all day long and the device will fulfill all your requirements without facing any damage of corrosion, etc. 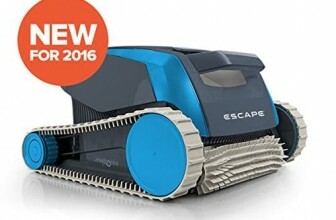 I witnessed improved levels of water circulation with reduced algae count and debris collection with this automatic sweep cleaner. 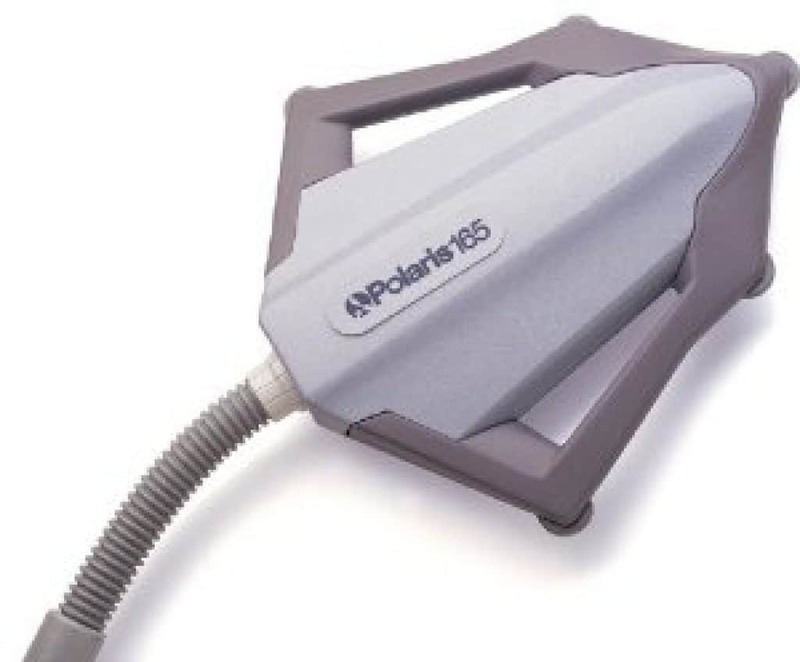 Hence, I would acclaim and praise polaris 165 pool vacuum and recommend it to all who have struggled hard during their pool maintenance task and now want to make their life peaceful. Try this amazing product; this will truly make your experience delightful and your buy worthy enough! 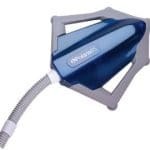 Click to read the top ranked pressure pool cleaners available in the market.